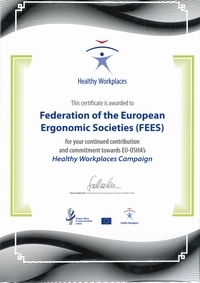 Federation of European Ergonomic Societies (FEES) is one of the 87 official partners of the EU-OSHA 2014-2015 Healthy Workplaces campaign. The Federation of the European Ergonomics Societies invites ergonomics professionals to submit Good Practices on reducing stress as a result of a successful ergonomics workplace intervention. 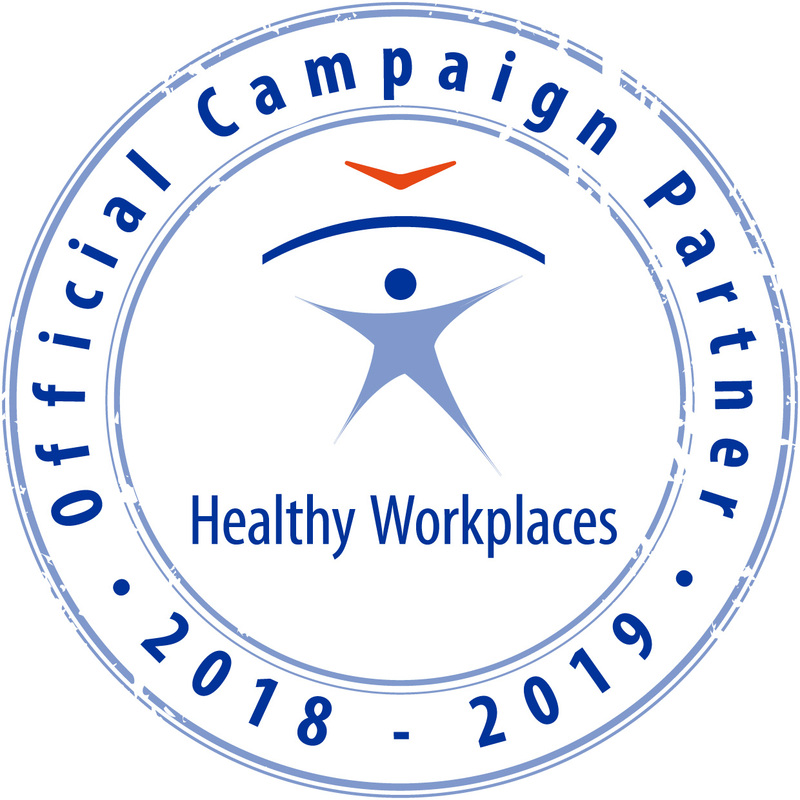 The Federation of European Ergonomics Societies supports the new two year Europe-wide campaign: ‘Healthy Workplaces Manage Stress’ of the European Agency for Safety and Health at Work (EU-OSHA). On behalf of FEES Gyula Szabó attended the Campaign Partnership Meeting in Brussels 8 April 2014, where a detailed campaign introduction and the Campaign Video World Premier took place. The European Agency for Safety and Health at Work (EU-OSHA) launched a two year Europe-wide campaign: ‘Healthy Workplaces Manage Stress’. The prevalence of work-related stress in Europe is startling. The 10th Anniversary of the Federation of the European Ergonomics Societies was celebrated at the GfA 60th Annual Congress in Munich 13-14 March 2014.